For the sixteenth episode of Outlander, I chose the color of Claire's cloak she wore on the crossing. 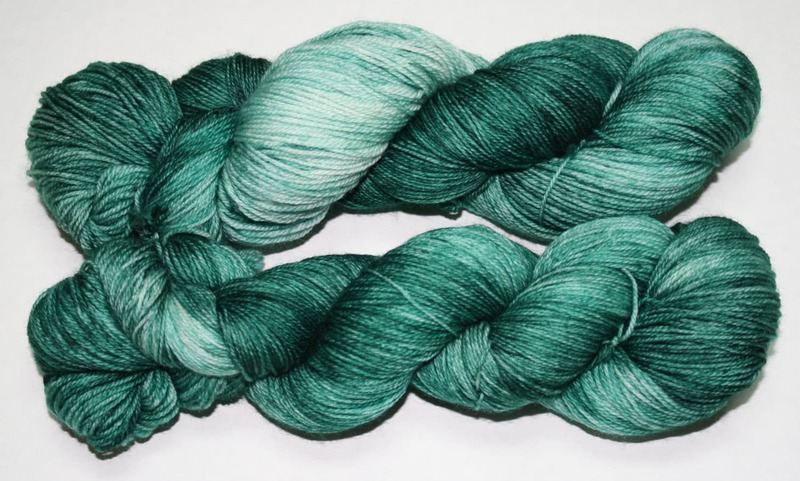 This hand dyed yarn is in a beautiful tonal spruce blue/green. It can be used for socks, shawls, toys, or whatever you can think up.